In, iOS Skype app has been updated by Well-known free video calling provider Microsoft (Skype Communications). Now the app is good compatible with iOS 8 iDevice, iPhone 6 and iPhone 6 plus. 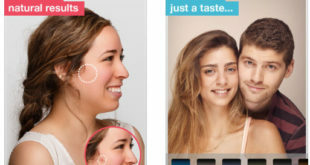 Overall, users can get massive revamped video calling app for their iPhone and iPad. Before user can’t gain missed call or Messages notification in Locked iPhone screen but this golden feature is available in the new version 5.7 of Skype. 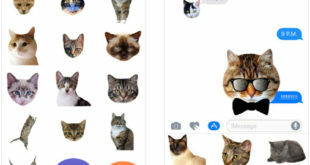 Even after update app you are new to use of it? 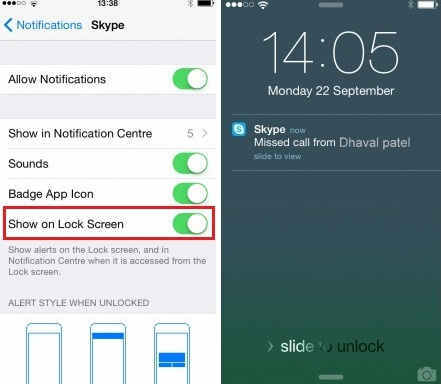 Right and have you a question how to get Skype notification on lock screen of iPhone. Don’t worry we are with you forever, let’s go down and follow steps to get Skype notification on lock screen iPhone. There are so many notifications and you can set it as a different banner style. It’s nothing but a little message that you can appear on your lock or unlock screen of iPhone. 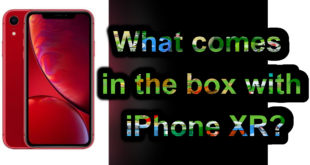 If you didn’t like lock screen notification then read our Tutorial how to disable notification on lock screen iPhone – Special for iPhone 6 and 6 plus you can easily mange voice and call notification on your iPhone. Note: if you want Skype notification in your iPhone then need, the Skype app should be running in the background. If it disable in background process so you’ll not able to get upcoming Skype notification. Useful: Lock screen notification not working in iOS 8 / 7: iPhone, Want it? Tap On, Show on Lock Screen and do Toggle Turn On. It’s called enable Skype notification, now you can get notification with lock screen iPhone. You can appear notification on lock screen at that time you’ve option, just swipe from the right to revel notification. That’s it. Now you can get easily notification with lock screen. If you miss a call now then you will see the name of the caller and when the call was made. Let’s to know us about you which apps almost you’re keep running in background as well leave your replay in the comment section at below how useful this tip on get Skype notification on lock screen iPhone. Like it? Share.